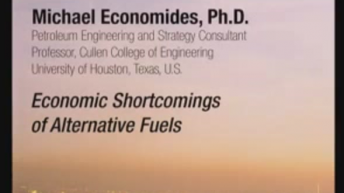 Michael J. Economides is a professor at the Cullen College of Engineering, University of Houston; chairman of the board of Paleon Oil and Gas; and managing partner of a petroleum engineering and petroleum strategy consulting firm. He is editor-in-chief of the Energy Tribune. 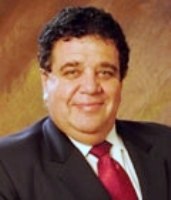 Previously Economides was the Samuel R. Noble Professor of Petroleum Engineering at Texas A&M University and served as chief scientist of the Global Petroleum Research Institute (GPRI). Prior to joining the faculty at Texas A&M University, Economides was director of the Institute of Drilling and Production at the Leoben Mining University in Austria. Before that, he worked in a variety of senior technical and managerial positions with a major petroleum services company. Publications include authoring or co-authoring of 14 professional textbooks and books, including The Color Of Oil, and more than 200 journal papers and articles. He has been retained as a consultant by national oil companies and Fortune 500 firms; he has had professional activities in more than 70 countries. 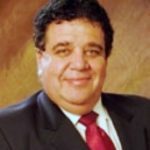 He has written extensively in wide-circulation media and appears regularly as a guest and expert commentator on national and international television programs.